Macerater to Holding tank which can be pumped out at sea. 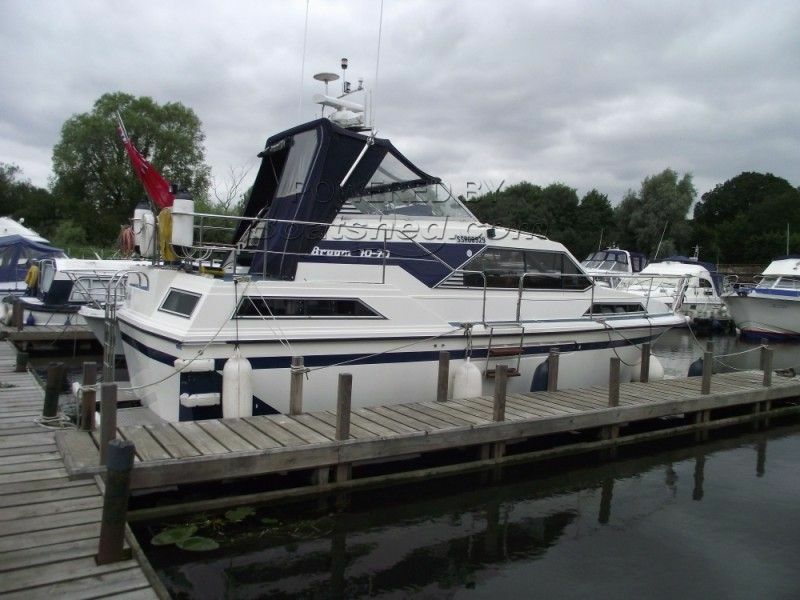 Broom 1070 offered offered for sale with a full inventory and a well appointed helm regarding navigation instruments. Her BSC is until 2020 and she is Broads licensed until April 2019. Her current mooring in Brundall can be made available if required. The boat is being sold due to bereavement. This Broom 1070 Sceptre has been personally photographed and viewed by Gary of Boatshed Norfolk. Click here for contact details.